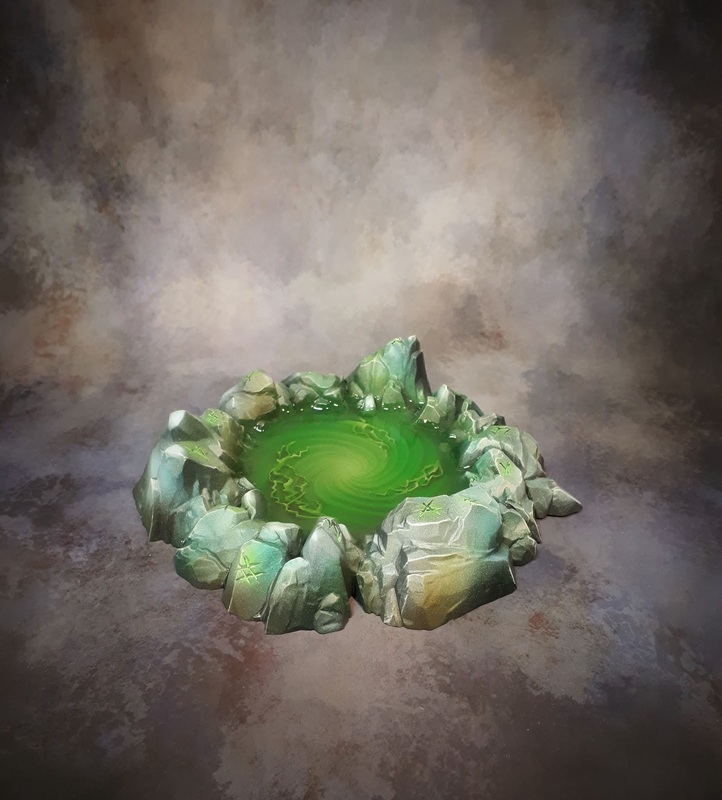 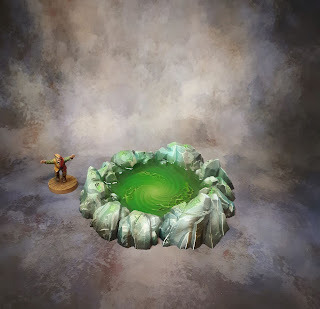 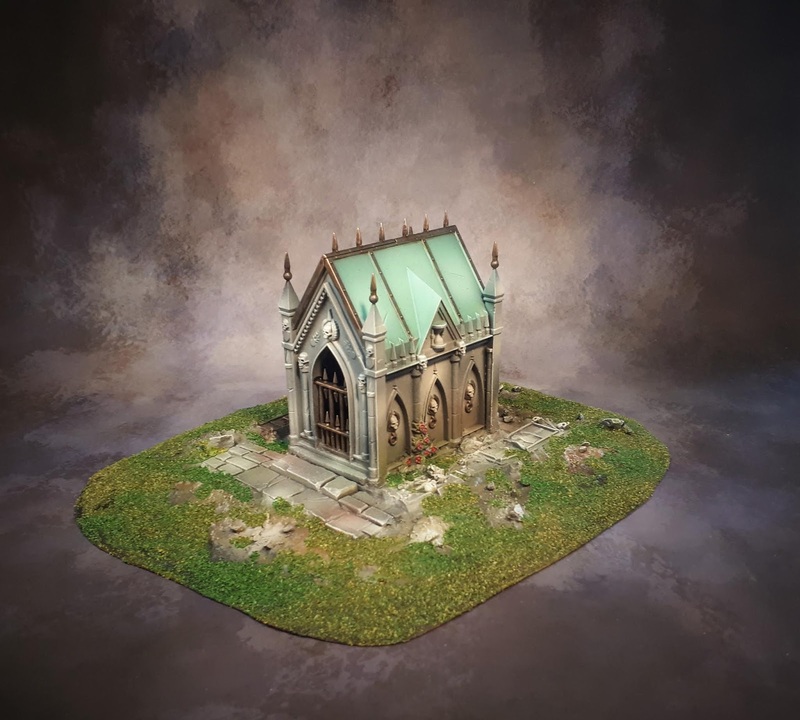 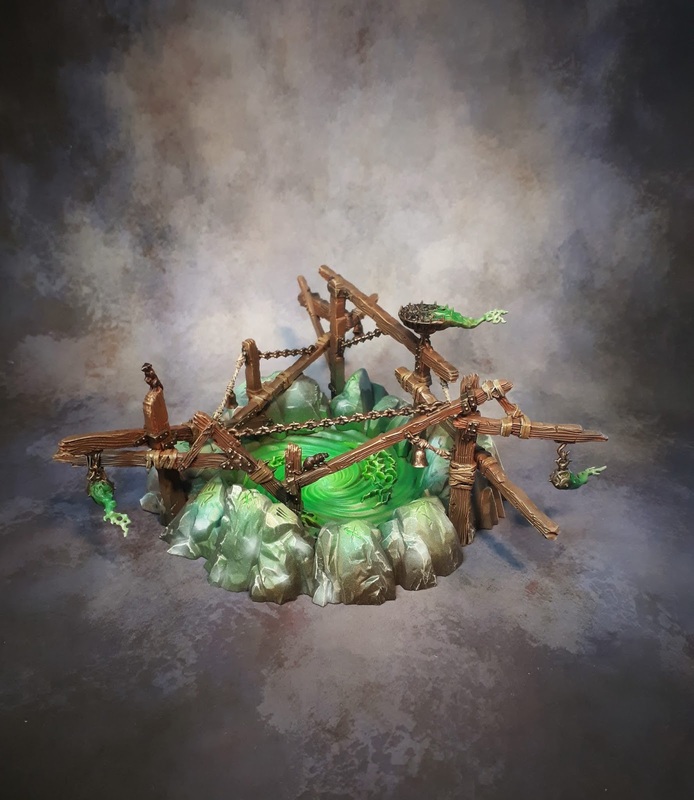 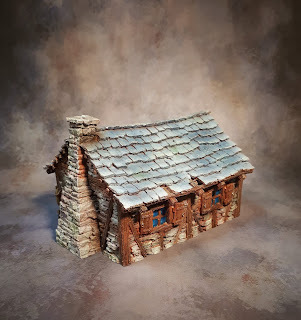 I've been looking for a while at scenery kits to create ponds from and I think GW latest releases does the trick The old craters they used to produce were pretty good but not available anymore. 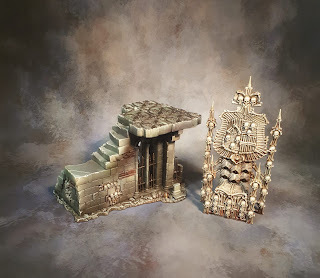 Last week Skaven Gnawhole kit provides a good base. 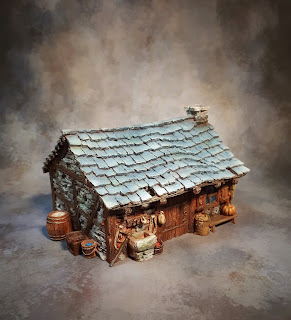 They really quick to put together if you don't use all the woody bits. 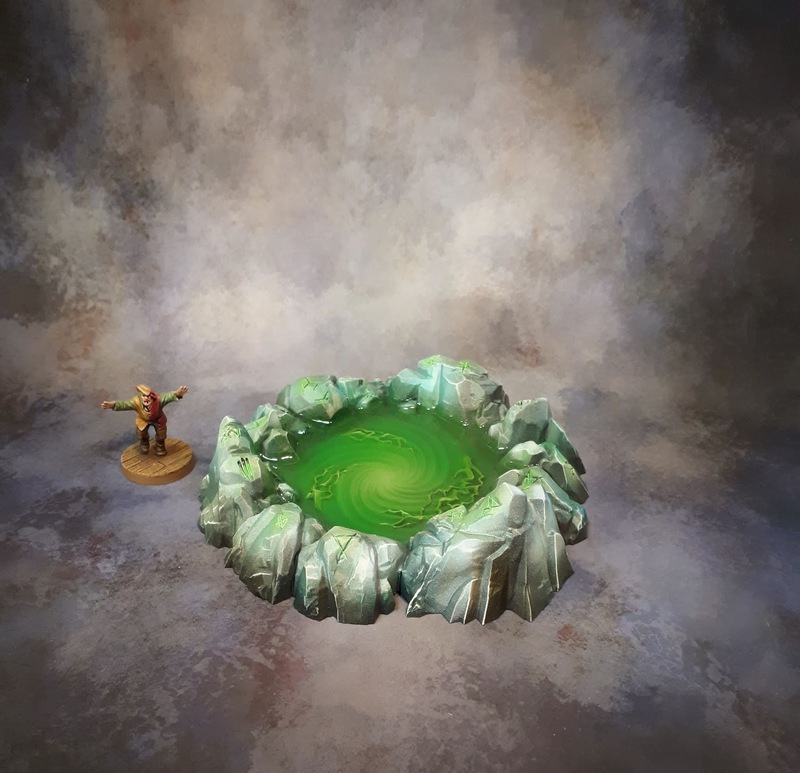 I might try to do them without the spiral effect in the water next time. I've also painted regular Skaven Gnawholes. 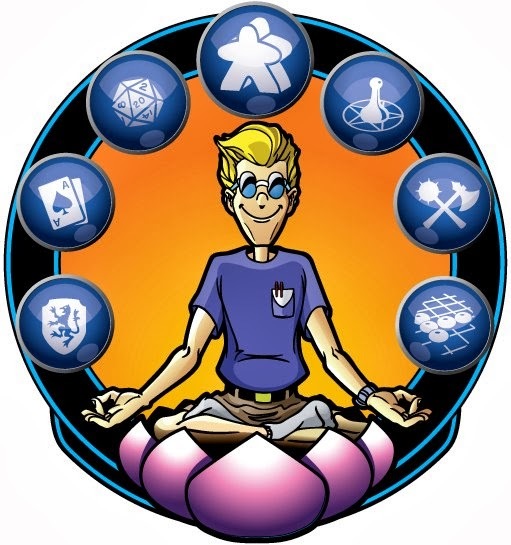 All available in the shop. 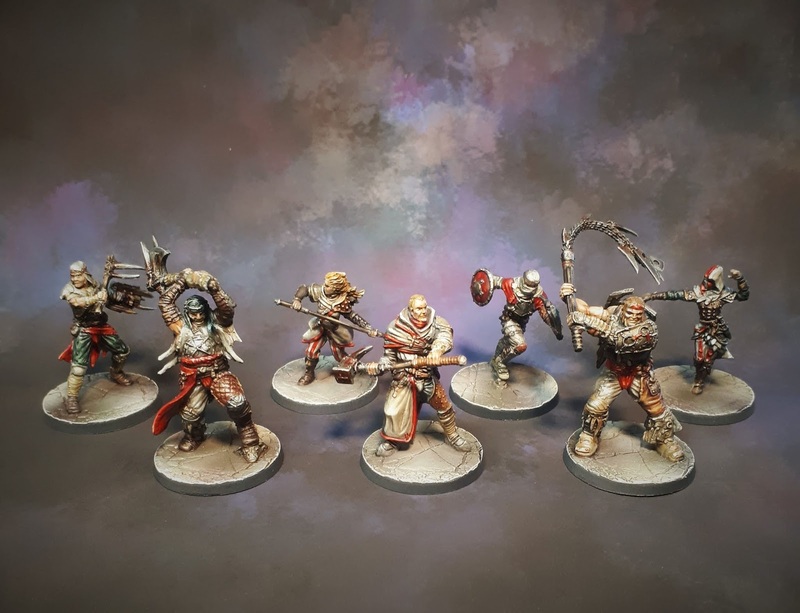 Heroes for Claustrophobia in speedy mode again. 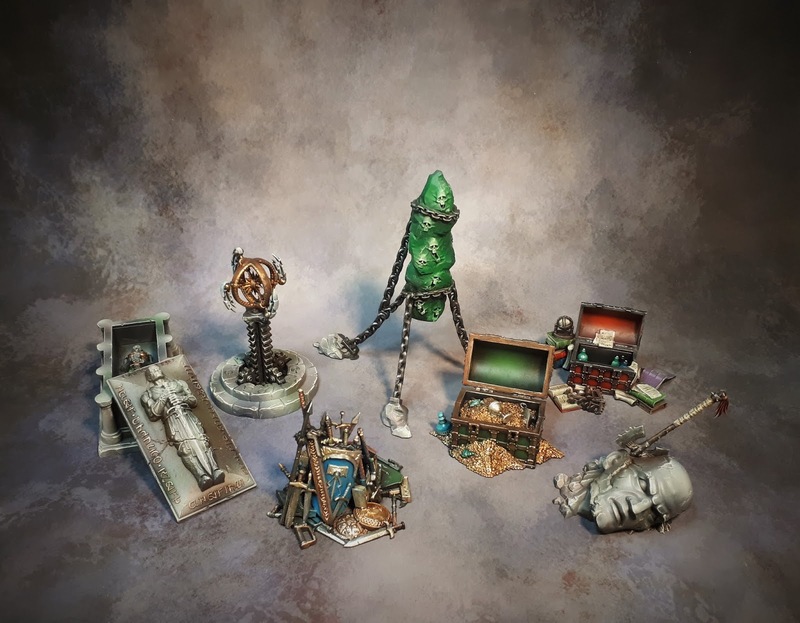 Nice models for Board Game quality although I wished they had been a bit crisper.Some details are really muddled which is fine on monsters but less forgiving on special characters. That's nit picking though I wasn't expecting GW quality. 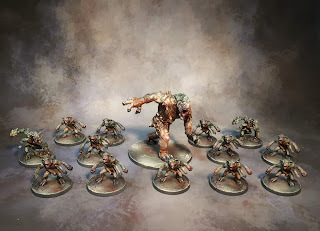 There is also a picture of some monsters I did earlier. 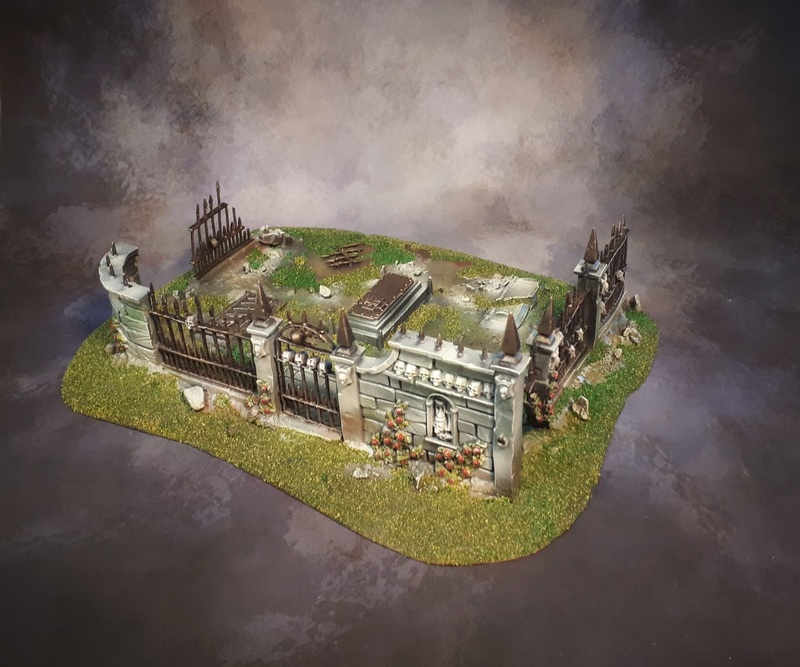 Lots of scenery on the bench right now. 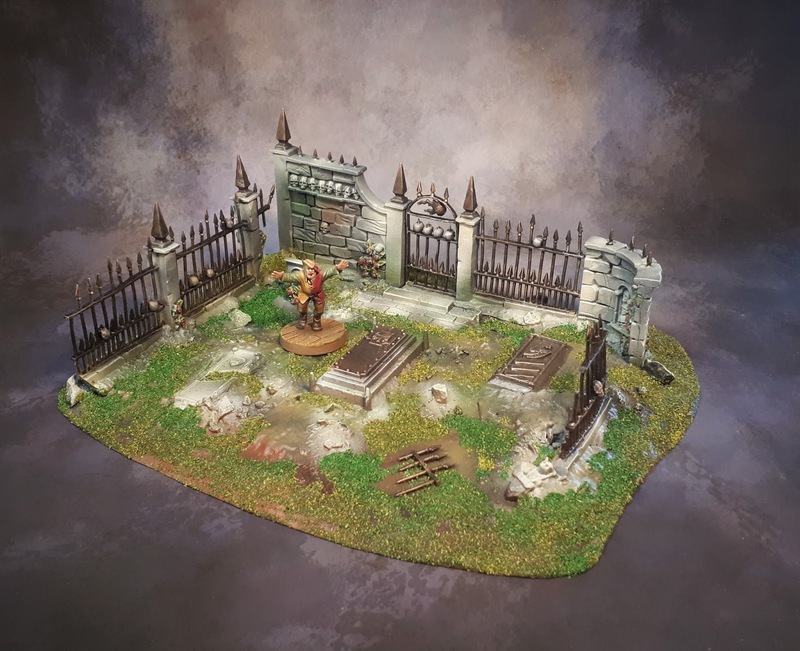 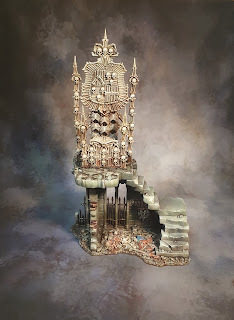 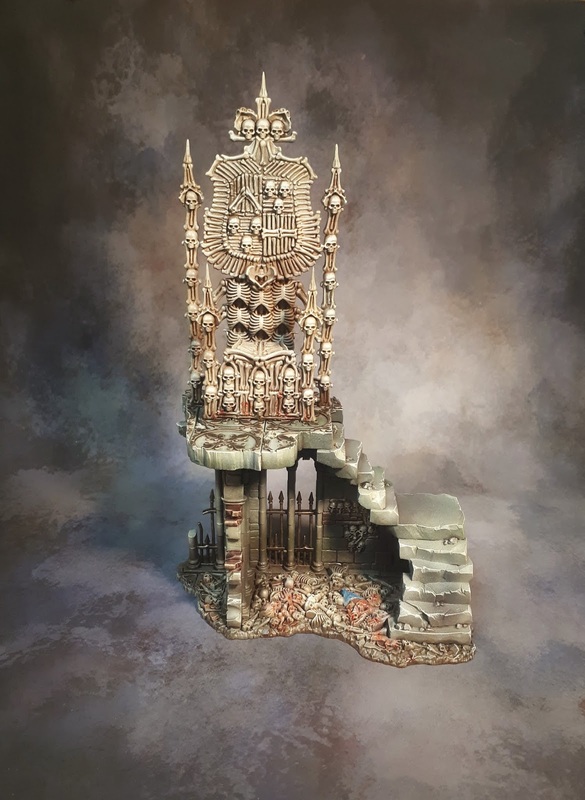 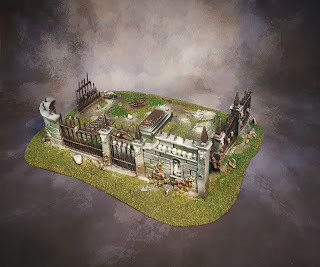 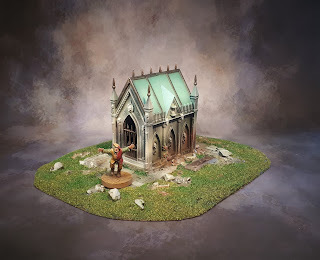 I've tried one of the most recent GW release: Flesh-Eater Courts Charnel Throne. Pretty good kit. can work really well as scattered terrain too. 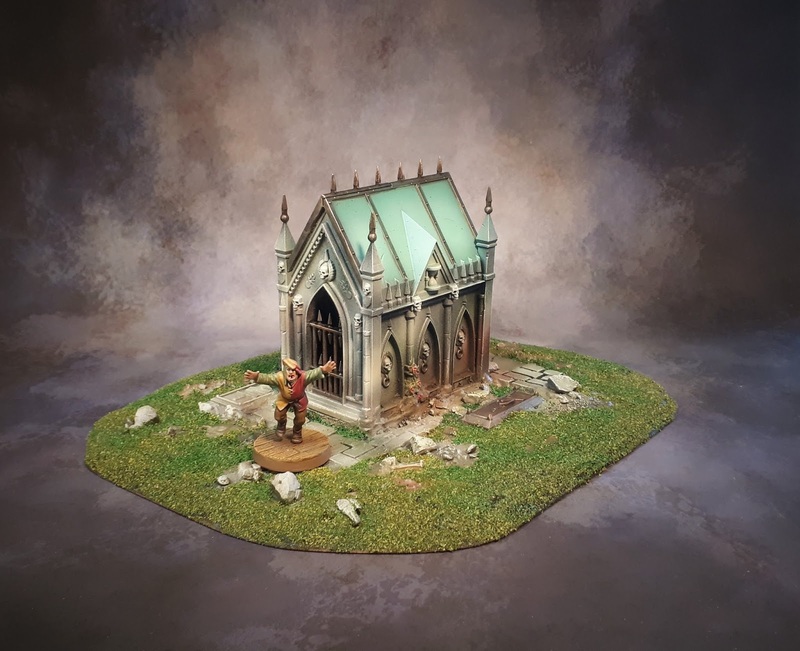 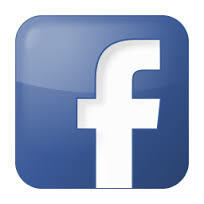 Available for purchase here. 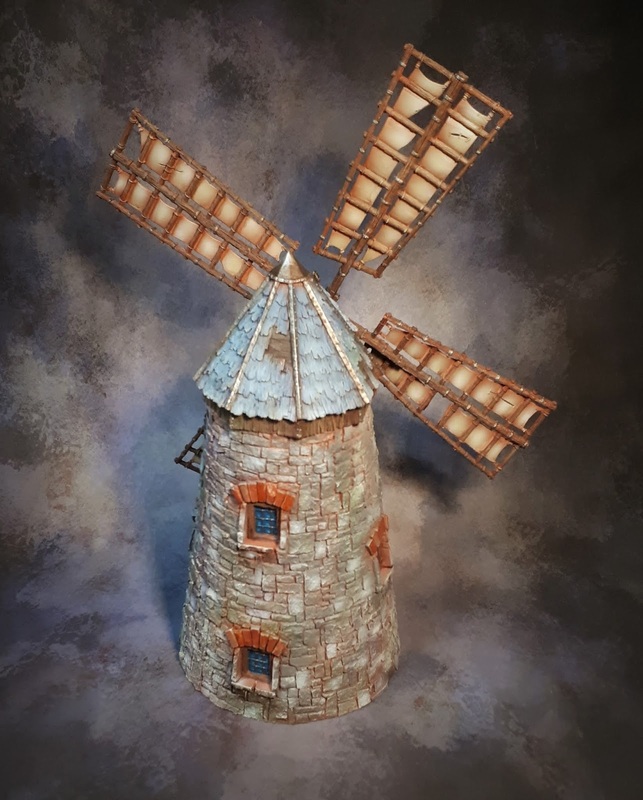 A couple of "classics" are back in stock: the Cottage and the Windmill. I managed to squeeze them in between jobs. 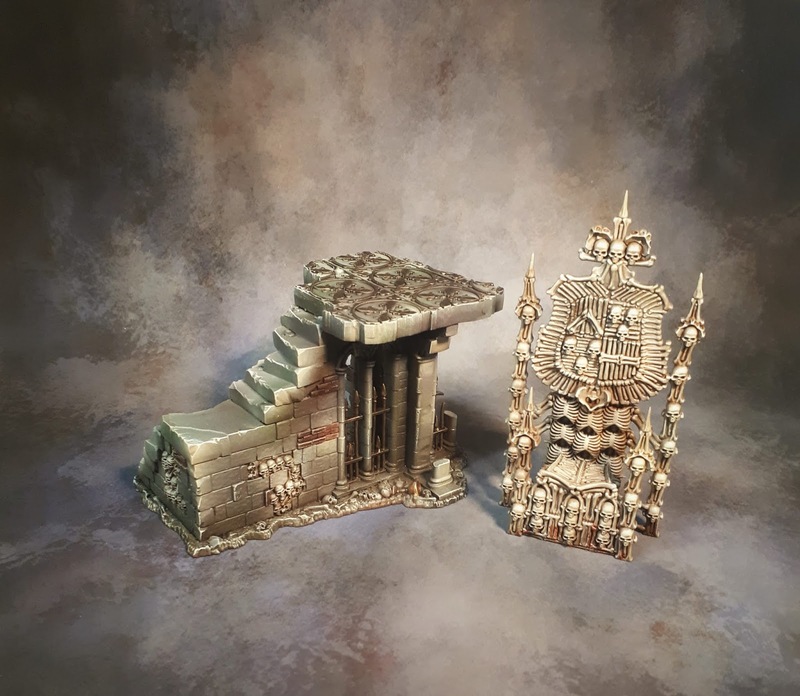 Both are from Tabletop World and are excellent pieces. 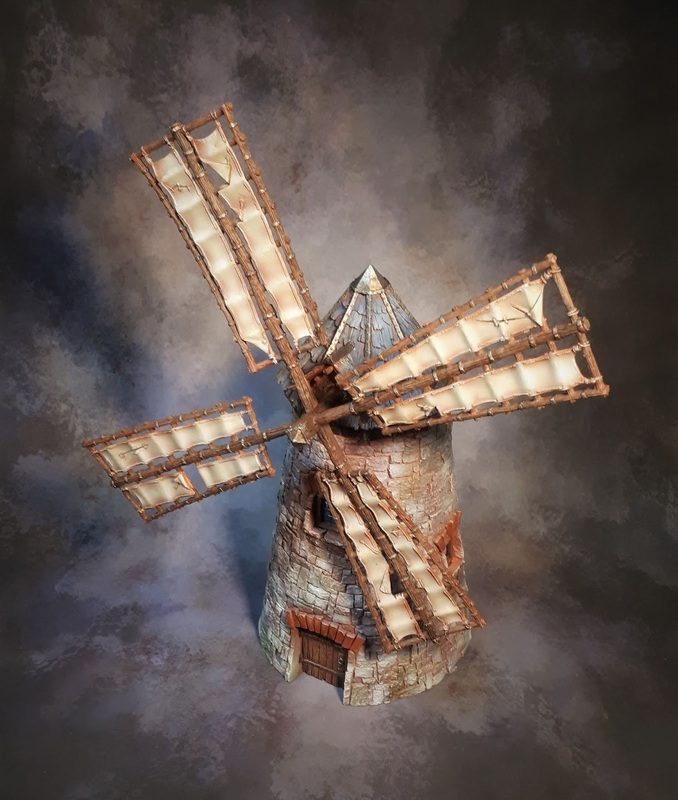 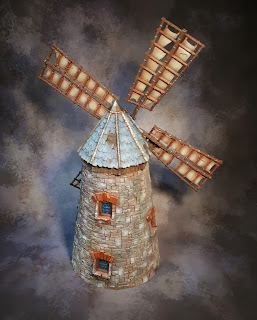 This is the 4th windmill I do, not bored of it yet, great model...Available in the shop.